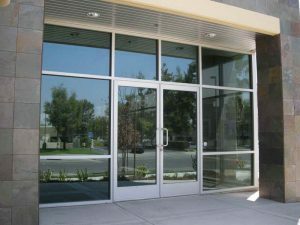 Shop Door Repair in Dubai We are the specialists in Automatic shop door for all Private Homes and Commercial Properties A shop door can be produced to very wide sizes very easily and generally only requires 1 electric motor to operate therefore saving money over the 2 motors required for a pair of the shop door. Carry out repairs to shop front doors in Dubai, can solve hinge problems, change door closers and repair locks on any aluminum front door in the Dubai area. I can also replace existing shop front doors in Dubai without having to replace the full shop front, if you require a replacement shop front door please get in touch for a free quotation. We repair all types of shop doors in Dubai from UPVC Doors, Timber Doors, Security Doors, Louvre Doors and the best in composite doors’ have a dedicated shop door repairs team working in Dubai to bring you the best shop door repairs service in every corner of the capital city. With over 2 decades of working in the industry, we understand that the best shop door repairs Dubai service comes with professionalism and the best price possible, we have worked on every type of shop door possible and can repair shop doors onsite in under 1 hours Shop Door Repair in Dubai. We also offer a UPVC shop door repairs service to replace UPVC door locks, replacement hinges, glass panes and cracked and damaged UPVC and Garage Door Repair in Dubai. Door catching on the frame? Hard to lift handles? Many styles available, please ring for details.? Do we repair all types of UPVC shop doors? regardless of age or make.? All cracks & dents repaired? You want to keep your Dubai retail premises secure with our shop door repair service in Dubai, making sure the shop door is not bent out of shape is a big issue as it is then prone to be opened with a crowbar. It is sometimes best to replace a broken shop door when required, but we always try to save the shop door as best we can. Shop Door Repair in Dubai If the lock has become damaged, you can always change the lock on your shop door and this will mean it will not need replacing. Our shop door clients in the Dubai, metropolitan area do vary, but typically our customers include private residential homes, businesses, industrial estates, building contractors, farms, clubs, local government, schools, and hospitals. kitchen renovation in Dubai We work alongside our customers (and their agents that often include architects and specifiers) to establish their specific aspirations, requirements for the type of automatic gates that they would like. 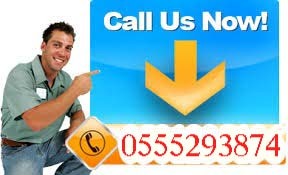 and Best Automatic Garage Door Repair in Dubai.